On Palm Sunday we commemorate the Lord’s entry into Jerusalem, when people welcomed him, and waving palm branches, sang “Hosanna”. 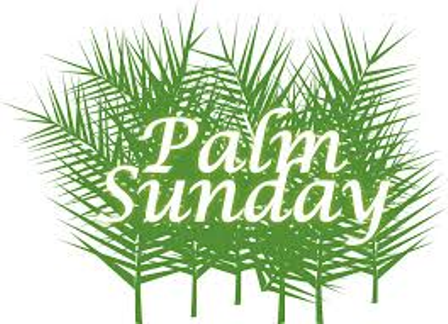 Palm Sunday marks the beginning of the most important week in the Church’s liturgical year. Palms are blessed during Mass and people bring palm branches home to remind them of Christ’s victory over sin and death. Please check your local parish bulletin for the times of the Holy Week Ceremonies.